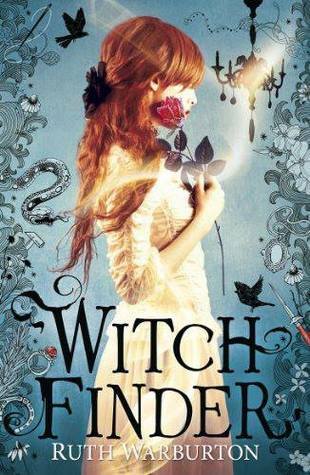 Presenting Witch Finder #1 Witch Finder by Ruth Warburton. To point, this is an overly done, extremely predictable and somewhat boring story...... While the setting, the character implementation in the setting coupled with the gorgeous cover become its saving grace. Admittedly while this is a rather overdone plot but here it is rather devoid of any witch-y action and very much grounded in reality and society. As far as the two leads are concerned, they felt somewhat flat. Luke and Rosa. Luke is the witch finder/witch hunter and Rosa is the witch he is sent to hunt as his first act joining the brotherhood of fearsome hunters of the Malleus Maleficorum. He is one of those who attach first and ask questions later. He was rather hasty in joining the guild without first knowing what he was dealing with or even how to actually kill the target when the time was right. Rosa was naive and rather quite the nun. Pardon me I meant no insult but she seemed silly and self-conscious and unaware of the customs of that era. With a sheltered life style like her's, that was to be expected..... Another thing, the romance was pretty much not there at all. Non-existence for a story that depends on the burgeoning romance between the witch and the hunter. "A rather predictable star-crossed pair in a largely overdone plot, grounded in reality but still not hitting the mark"
Sorry Rosa came off as so naive, poor thing. Hope your next read is better for you.